Sydney’s Chinatown is fast becoming an Asian hub connecting Australia with the wider region—and its rich economic and cultural potential is being investigated by Western Sydney University (WSU) researchers. With its restaurants, fresh produce market, language schools and Asian fashion boutiques, Chinatown has long been an important tourist destination. As Australia forges closer ties with China and other regional neighbours, the former ethnic enclave is gaining new significance as a gateway for Asian migrants, goods, services, investment and even cultural trends. It also offers a foretaste of Australia’s increasingly Asian multicultural future, which is already a bustling reality within this cluster of city blocks just south of the CBD, according to Ien Ang of WSU’s Institute for Culture and Society. Her three-year research project is part-funded by the City of Sydney. The study will help the City to plot Chinatown’s future as the area absorbs ever more businesses, tourists and international students while striving to protect its unique history and heritage. The council is also hoping to learn how major cultural initiatives can be used to attract more visitors and enhance Australian-Chinese business links. A low-rise island in a sea of office and residential towers, Chinatown is under intense development pressure. The City of Sydney hopes the WSU project, by pointing up its value as a cultural asset, will give planners a strong argument for conserving and enhancing its distinctive character. The council is also hoping to learn how major cultural initiatives can be used to attract more visitors and enhance Australian-Chinese business links. 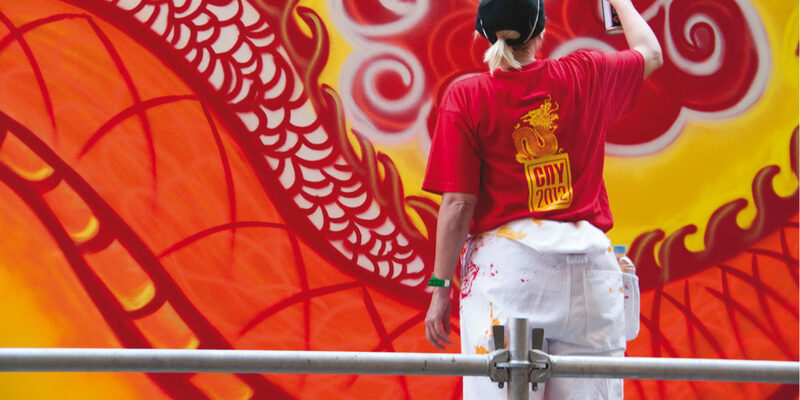 Foremost among these is the Chinese New Year festival, showcasing Sydney as an Asia-focused, global city. In their quest to glean a wide-ranging community perspective, researchers have interviewed scores of locals, including residents, artists, international students, developers, bankers, real estate agents, hoteliers, restaurateurs and migration agents. Chinatown’s Asian residents—constituting 64 per cent of its population, according to the 2011 census—used to be predominantly from southern China and Hong Kong. Nowadays the area also houses ethnic Chinese from Taiwan, Singapore, Malaysia and Indonesia, as well as mainland Chinese and non-Chinese Asians from Thailand, Korea and Japan. Chinatown was once inward-looking—a place where Chinese migrants could escape racial discrimination and feel at home. Now it looks boldly outwards: to the rest of Sydney, to the wider Australian community and across to Asia. As a result, says Ang, it is becoming “the centre of a strong transnational connectiveness in the region”. Chinatown, she believes, is “an important source of knowledge, cultural capital and cross-cultural connections”—in short, a resource that has yet to be fully exploited.